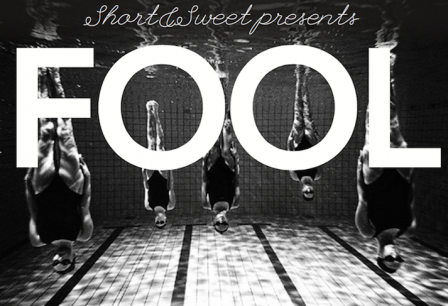 Short & Sweet present FOOL which will fill the Gala pool with a vibrant array of live performances. FOOL: wise, tragic, naïve or reckless the fool has privilege to violate taboos. Art is foolish. Theatre fools and deceives. Featuring over 20 local artists, performers and community groups this will be a magical night not to be missed. Each performer will have just 3 minutes, run over and the lights go out! Expect Choirs, dancers, musicians, spoken word and a whole lot of the unexpected in-between. Based on the original “Short&Sweet” performance series started in 2005 in Montreal by Wants&Needs Danse. There will be a lincenced bar.Doors open 7.30pm. Tickets from the link below or on the door.